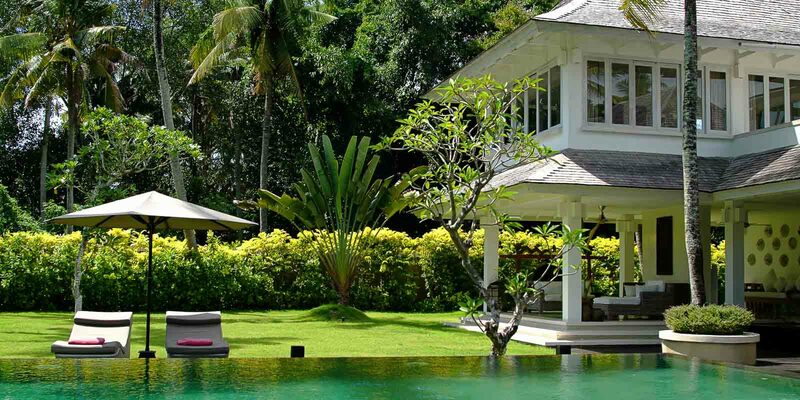 Villa Matahari offers two Master Suites, of more than 100 m2 each, located in the second floor of the main building and accessible through two large independent stair cages floating over two large fish ponds located at each sides of the main lobby. 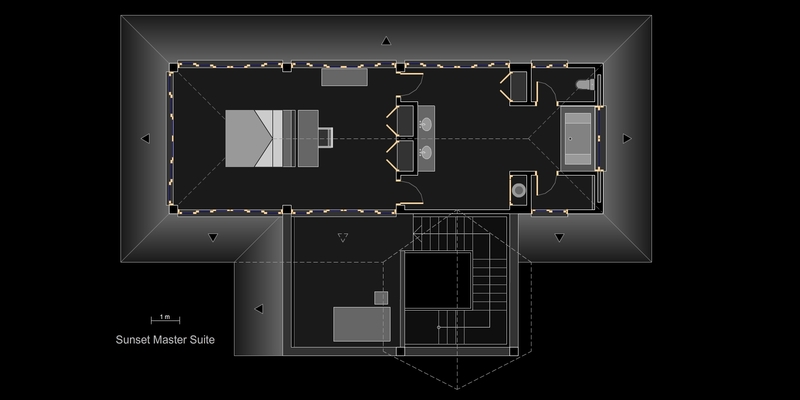 Both Master Suites are stylish, minimalist, and extremely spacious. Each Master Suite is flanked by a private open air terrace overlooking the property with a double sun-bed for relaxing. 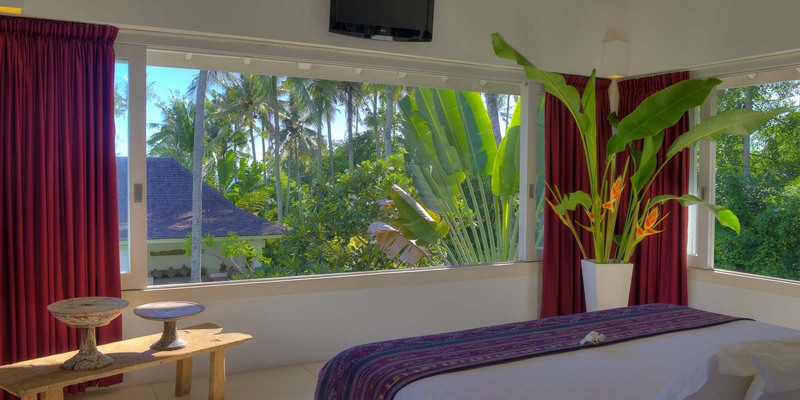 Both Master suites bedrooms feature large windows on three sides with views to the garden. 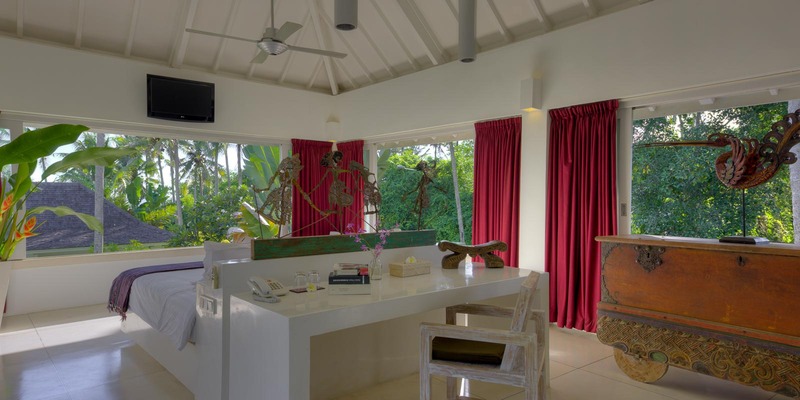 When these sliding windows are opened, the fresh breeze from the beach enters the space making you feel completely surrounded by the environment. The king size bed in each Master Suite is oriented towards the sea and was designed to enjoy the surrounding views while laying down in the bed. 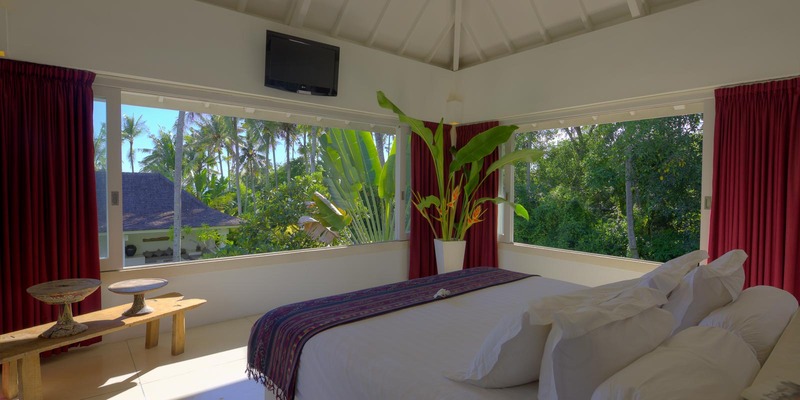 Guests accomodated in the Sunset Master Suite will enjoy with beautiful views to the ocean. 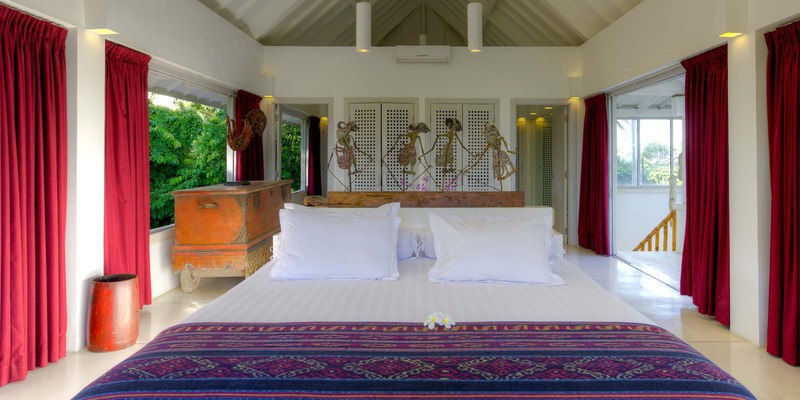 Guests can choose, according to their preference, to cool their suite by using either the AC units, a large hanging fan over the bed, or just the natural breeze from the sea. There is a practical built in desk behind the bed, strategically placed so all the views are still seen while seated. Both Master Suites have two AC units, a hanging fan to cool the air over the bed, safety boxes, flat TV units with International Satellite Channels, WIFI Internet connection, internal phone system, and smoke detector alarm. 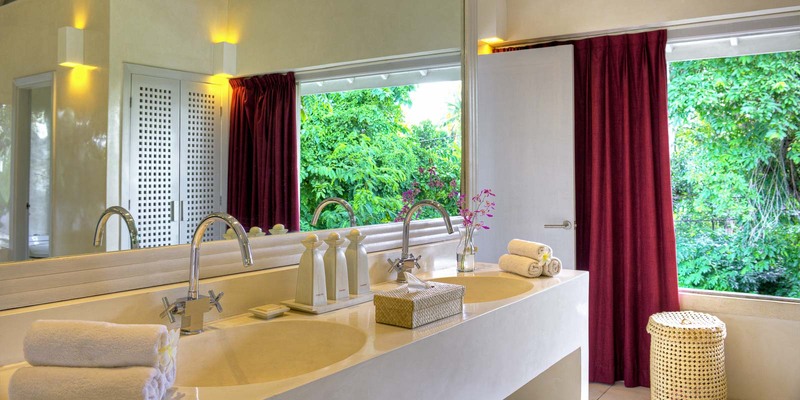 The expansive ensuite bathrooms are both fitted with a luxurious bathtub under a wide window. 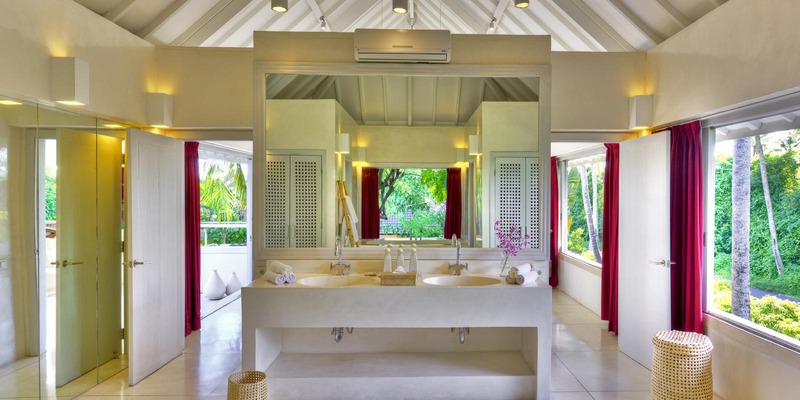 There is an enclosed toilet on one side of the bathtab and an enclosed walk in rain-shower on the other side. 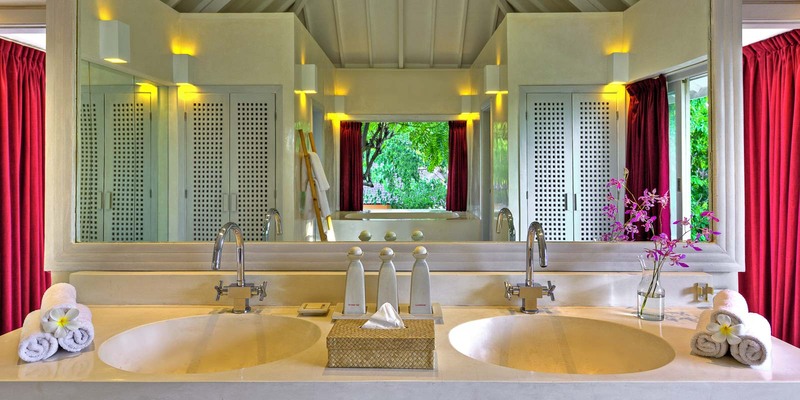 A wide terrazzo vanity unit supports convenient twin washbasins, and huge wall mirrors multiply the space. Fitted wardrobes provide plenty of hanging and storage space. 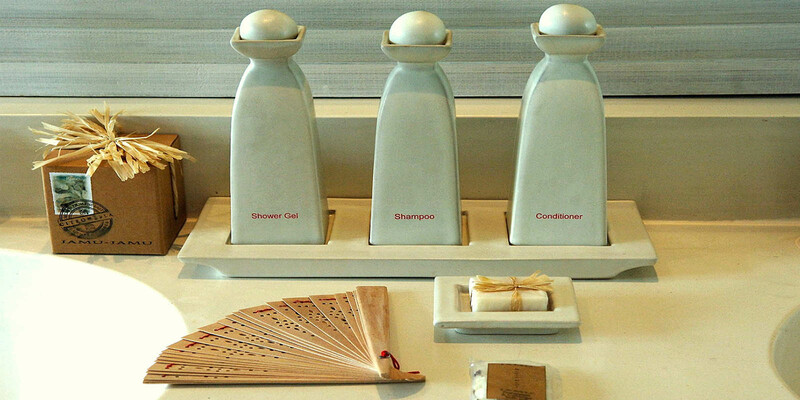 Despite the abundance of windows in the bathrooms, guests’ privacy is cleverly protected by one-way mirror glasses.